If you don’t know who she is, take a moment to look up Ronda Rousey. Even if you’re not a sports fan, Rowdy Ronda has been hard to miss—U.S. Olympic medalist in Judo, UFC Women’s Bantamweight Champion, actress in movies starring lots of tough guys, the most dominant active athlete in 2015 (male or female) according to two publications, and ESPN 2015 poll winner as the Best Female Athlete Ever. In 2015, Ronda won six fights in a row, putting her opponents away in under 1,100 seconds and earning over $1 million in prize money. Talk about dominant. That’s why the 56,000 people watching live and the millions more who watched the match on pay-per-view last November, were stunned when Ronda went down to opponent Holly Holm after a brutal kick to the head. Then came another stunning moment—Ronda’s tearful admission to Ellen DeGeneres on February 16 that after her loss, she had to fight off thoughts of suicide. Granted, Ronda’s world is full of drama and theater, but whatever Ronda’s motive was for sharing her story, it provides three powerful lessons for leaders of high performers. When it comes to motivation, what matters most is the reason for the motivation. The reason for Ronda’s motivation was winning. Winning as a means of gaining status, power, or external rewards is not an optimal reason for motivation. Ronda experienced what all the research tells us about external rewards—they are the junk food of motivation. When you need a higher-quality energy to heal, regroup, refocus, or just keep moving, external rewards do not generate sustainable energy. Tip: Have conversations with people (and yourself) about the reasons for their (and your own) motivation. Extrinsic motivation detracts from intrinsic motivation. When it comes to motivation, 1 (intrinsic motivation) + 1 (extrinsic motivation) does not equal 2 (higher-quality motivation). Motivation is not additive. You cannot be extrinsically and intrinsically motivated at the same time. Tip: Beware of using external rewards to motivate people. 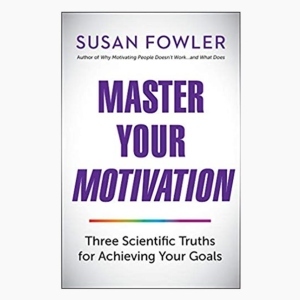 You are not adding to their motivation but impeding their ability to experience autonomy, relatedness, and competence—the three fundamental psychological needs required for people to thrive. When people are driven by the promise of status or power, the source of their motivation is outside of themselves—thwarting their autonomy. When people are driven through the temptation of incentives, bribes, and rewards, they are distracted from more meaningful reasons to perform—undermining their sense of relatedness. When people are driven by an external reward, the pressure to “win” often leads to mistakes, miscalculations, or low-quality work—threatening people’s sense of competence. 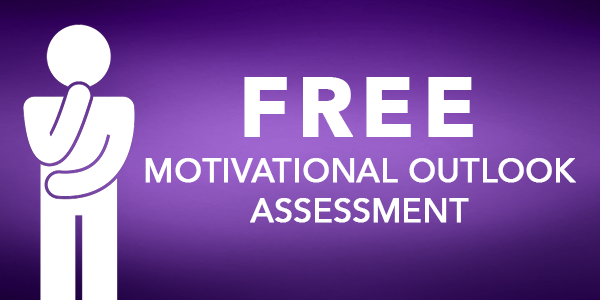 When it comes to motivation, 1 (intrinsic motivation) + 1 (extrinsic motivation) equals zero. Not all motivation is created equal. Ronda explained the role her boyfriend played at the moment she wasn’t sure she wanted to go on: “I looked up at him and I was just like, ‘I need to have his babies, I need to stay alive. '” Ronda’s statement may be describing an optimal reason for moving forward—if being a mother is an important value based on love. But, if her reason for having children stems from fear of losing her boyfriend or to fill her own emptiness, then she may be reflecting suboptimal motivation. Basing happiness on a child—or anyone else, for that matter—is not only risky for you, but an unfair burden to the child. Tip: Have robust conversations with employees to help them find meaning in the work itself. This doesn’t mean people have to love their work. It means that they may need help aligning their work to essential values and connecting work to their own noble purpose. I have admired Ronda Rousey from afar during her career, and as she faces her demons and heals her wounds I hope that she continues to be a positive role model of hard work and determination. I also hope, for her sake, that she works hard for the right reasons. Her story is a great example of a basic tenet from the science of motivation: High performers cannot sustain high-quality energy when it’s fueled by external motivation. Even as high performers collect their winnings, they pay a price in terms of physical health and psychological well-being. High performance without flourishing eventually results in anguish. Ronda, and all high performers, need leaders who help them understand: When it comes to motivation, what matters most is the reason for their motivation. When the reasons for their motivation satisfy their psychological needs through meaningful values, a noble purpose, or the pure love for what they are doing, they will thrive—even when that rare loss kicks them upside the head. Very powerful article. It really talks about how we see ourselves, and what we put value on.She is a great example of feeling as if her worth is what she DOES.. not who she is. So as soon as the “what she does” went away, so did her entire sense of self. Very sad, and I hope she can do the work she needs to find value in herself, who she is, not what she does.